From CAP! Volume 6. Front, side, and back view of Roll’s outfit, and even her underwear. Imitators welcome! 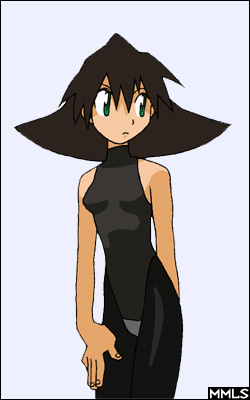 4 Comments to "Roll-play: Caskett Style"
This pic is more accurate than the one in R. DASH Daibouken Guide page 70, as Roll is lacking the black detail in her abdomen (unless it is part of her red clothes, or she is using 2 underwears, like Blues uses 2 shades. 😛 Or… Could it be the same as ZX’s fashion details you showed from R20+5’s Question 3?). 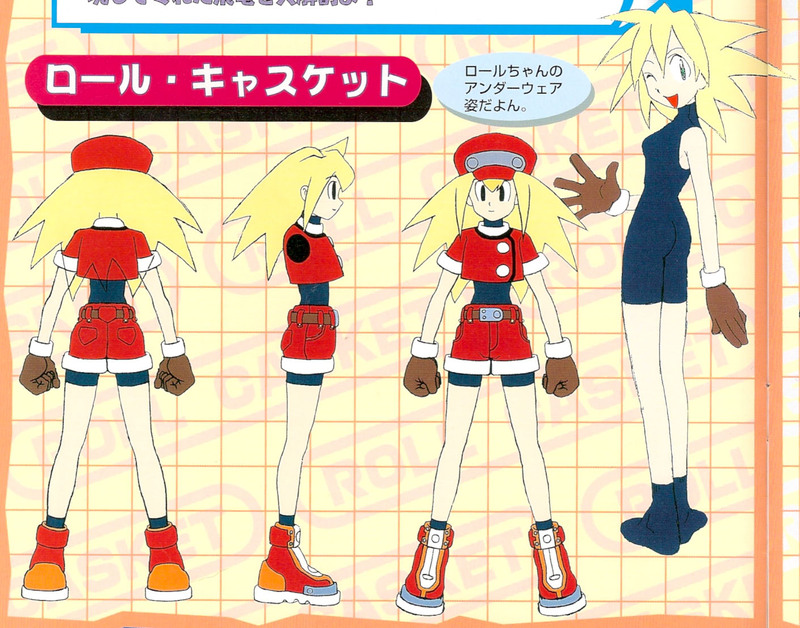 Thinking again, the two scenes Rock sees Roll changing clothes would not make much sense if it was like the ZX series, unless she was replacing parts or something. Nevermind. « This was Rockman X!